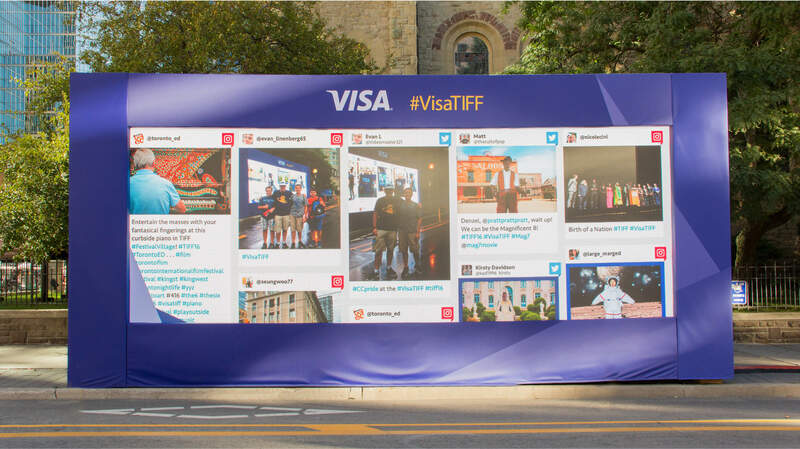 In partnership with The T1 Agency, we developed and implemented a real-time social media board for Visa to use throughout TIFF 2016. 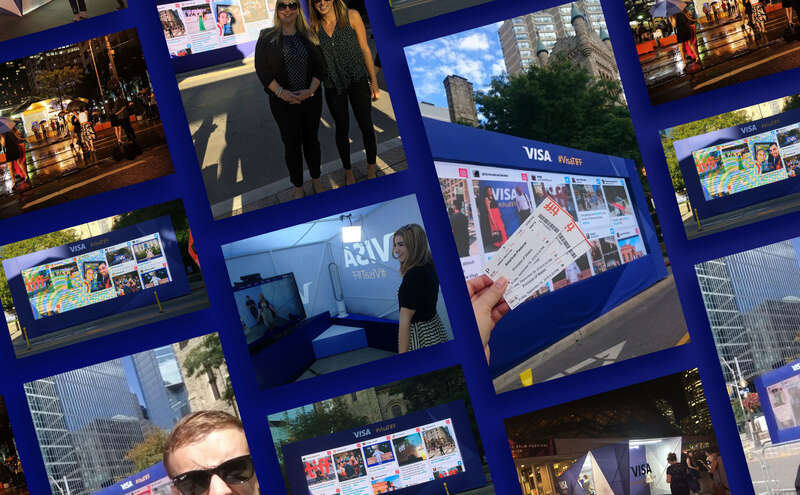 As Canada’s number one credit card and one of TIFF’s largest sponsors, Visa teamed up with the festival to create an interactive experience for movie lovers. 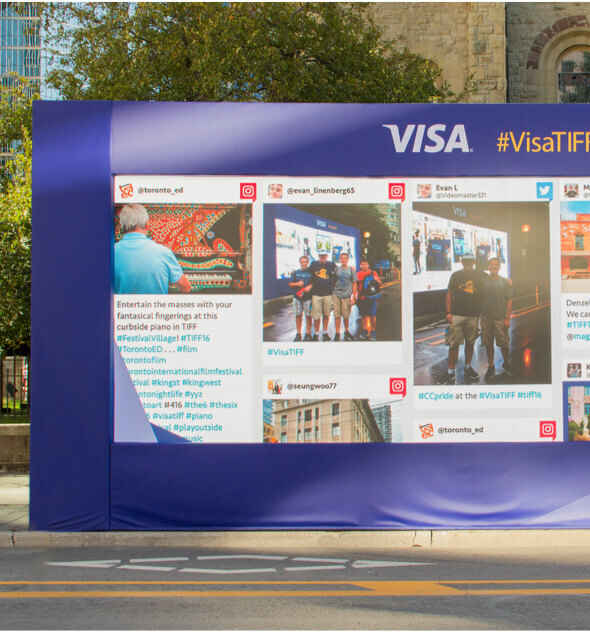 Visa engaged with the public at multiple touch points throughout the festival, encouraging them to tag their interactions at TIFF using a unique hashtag. 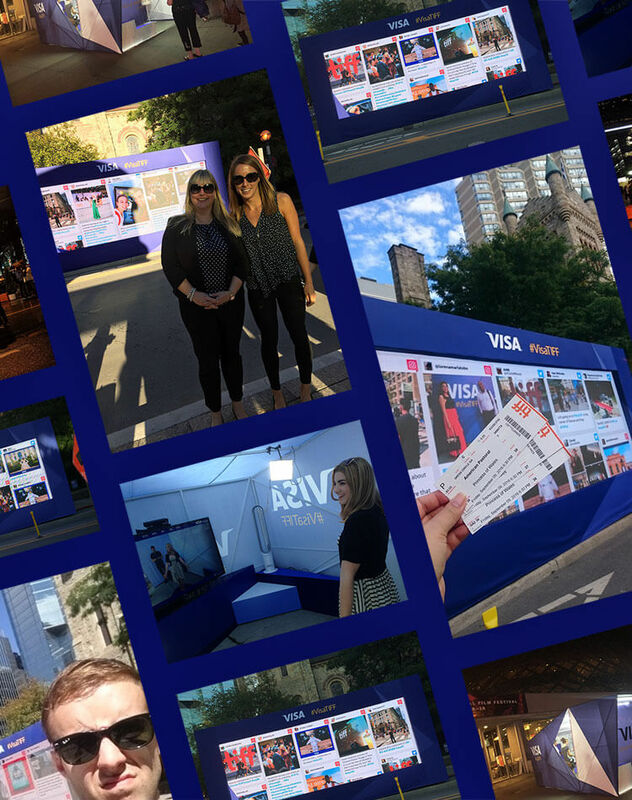 We designed a custom social media board to reflect all of the real-time content that was being published by Visa Canada at TIFF. Posts that were tagged with #VisaTIFF appeared on an digital display board, assembling photos shared from Instagram, Facebook, and Twitter. The board filtered through the most recent posts from the event, and showcased them through a continuous live feed waterfall display. Creating snackable content & using social media to drive cravings.